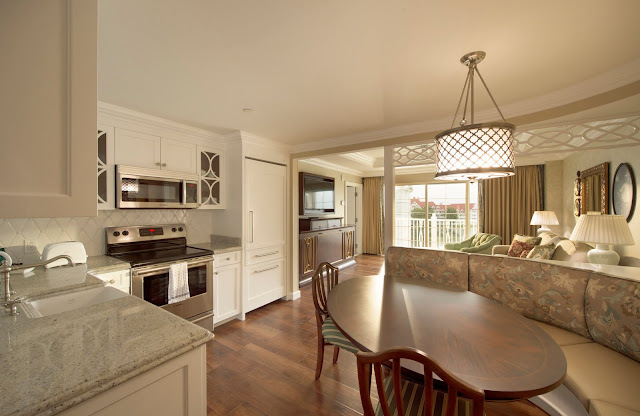 Resort Review: Grand Floridian Villas | What's the Point? Welcome to this month's Blogorail Orange Loop. Today we are sharing our reviews of the deluxe villa resorts at Walt Disney World. 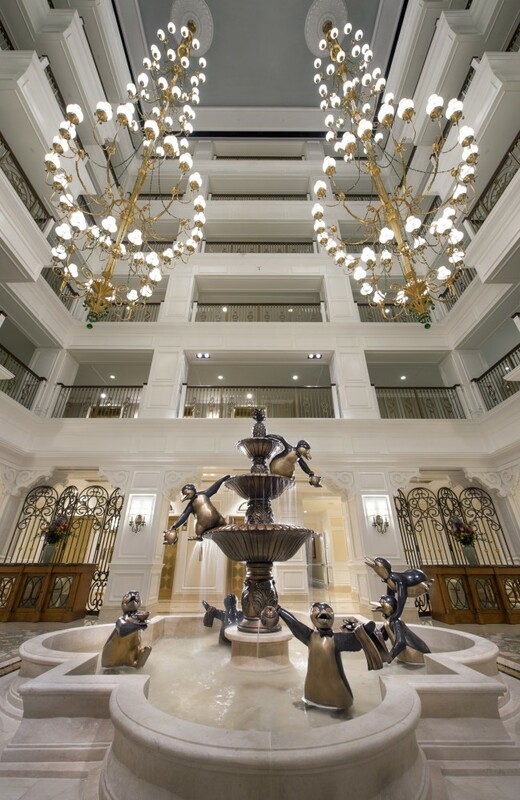 There's a feeling I get in my stomach the first time I enter the lobby of Disney's Grand Floridian Resort and Spa each trip...it's joy and splendor. When I heard that Disney's Grand Floridian Resort & Spa was adding a new building just with Disney Deluxe Villas, I was skeptical that I could get the same feeling as the main resort. However, as soon as I walked into the Villas at Disney's Grand Floridian Resort & Spa, I felt the same butterflies. Located just a short two minute walk away from Disney's Grand Floridian Resort & Spa Main lobby, the villas have a small, intimate and exclusive feeling. It is beautiful, classy and calming, and boasts all of the amenities that you expect from deluxe level resorts. 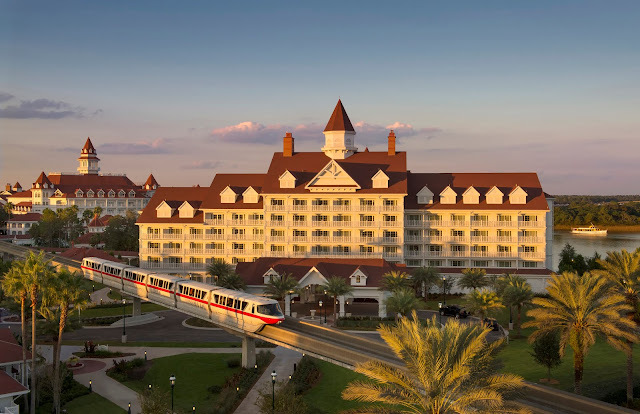 After the short walk to the lobby, you can hop on the monorail for one stop to the Magic Kingdom. Stay on the resort monorail for a few extra stops to transfer to the Epcot monorail. This is, by far, the best feature of the resort. Additionally, you can walk to Disney's Polynesian Resort, the Disney Wedding Pavilion, and the bus stop to the other parks. The lobby is gorgeous, and every time I arrived it served as a calming presence. The resort has its own front desk with big plush chairs. It looks like a place to have a chat with a friend rather than your traditional "front desk" setup. Upon arrival, we were greeted by water with cucumber and water. Also located in the lobby were Nespresso espresso machines, which we visited about three times per day. Yes, I know that no normal human being should consume that much espresso, but alas, we are New Yorkers. It seemed like we were always the only guests at the resort and always had personal service. You can't avoid smiling when you see the beautiful penguin statue and all of the nods to Mary Poppins, one of my favorite movies. The kitchen features white marble and there are wood floors throughout. Underneath the television in the living room is a pull down trundle bed, perfect for any kid. My only gripe about the rooms at the Villas at Disney's Grand Floridian Resort & Spa is that the two-bedroom villas only have two bathrooms, not three, like similarly-sized resorts at Kidani Village and Bay Lake Tower. This was frustrating for the guests in our room staying on the pull out in the living room, as they had to disturb guests in one of the two bedrooms to use the bathroom and take a shower. Our views were spectacular. Every night we had the ability to see the fireworks and the Disney fans in our party loved looking at the monorail zoom by. 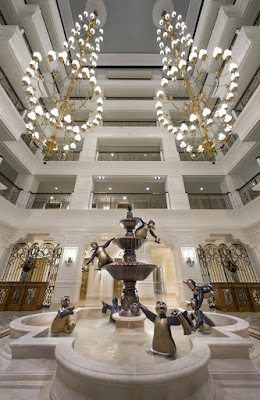 If you want a resort that is in the perfect location, is formal and classy, has all the bells and whistles of a deluxe resort, has six unique dining locations, has numerous recreation and spa activities...then you should look no further than the Villas at Disney's Grand Floridian Resort and Spa. 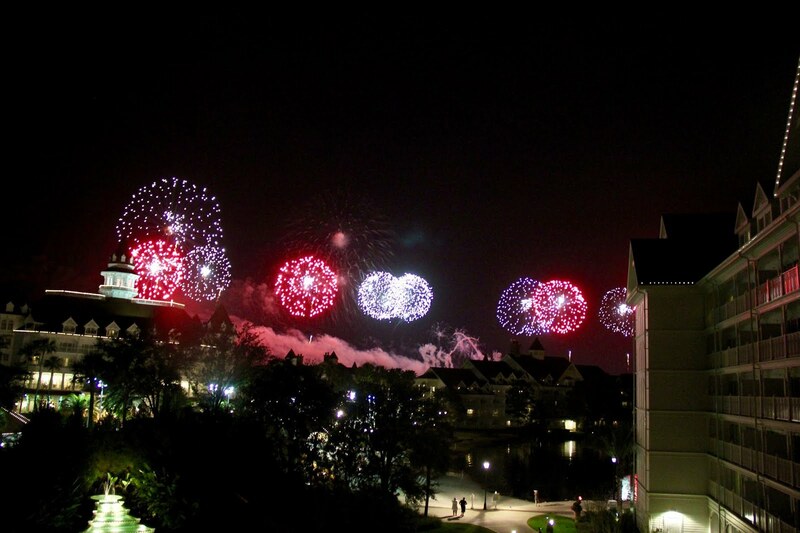 For more Walt Disney World deluxe villa resort reviews, check out the other great posts from the Blogorail!